If you love Shakespeare’s plays but haven’t read a graphic novel adaptation, “Romeo and Juliet” is a great place to start. 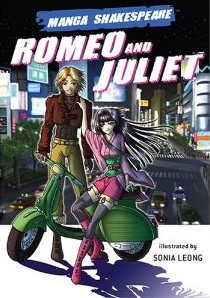 The Manga Shake­speare ver­sion of “Romeo and Juliet” by Richard Appig­nanesi and Sonia Leong takes place in mod­ern Tokyo. In this adap­ta­tion published by independent company SelfMadeHero, the Mon­tagues and Capulets are rival­ing Yazuka (orga­nized crime) fam­i­lies. 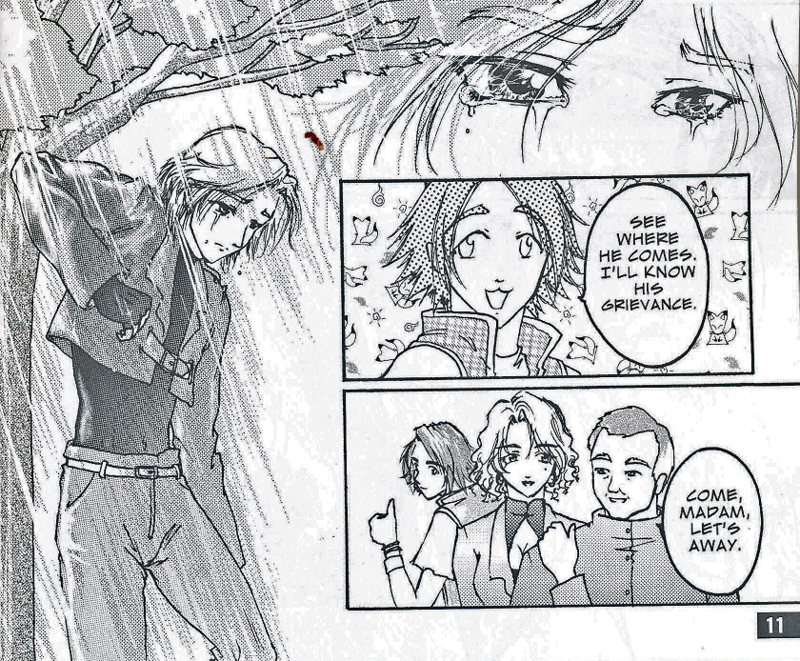 The art­work includes tra­di­tional manga iconography. Leong uses ele­ments of nature to depict the char­ac­ters’ emo­tions. In the scene where Romeo is weep­ing about Ros­aline, the illustrator uses rain pouring down in the background as visual metaphor. 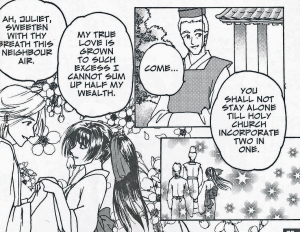 Flowers are often used in manga to depict romance. The cherry blossom (sakura) flower can symbolize love. 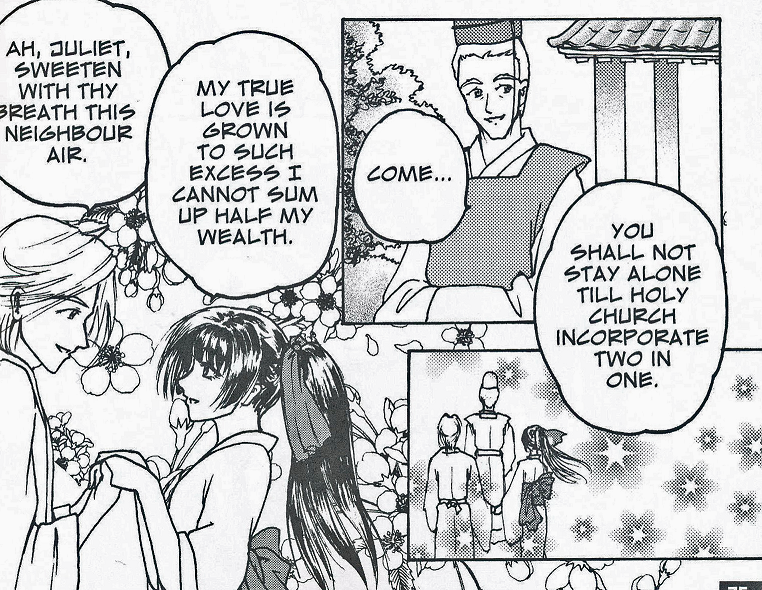 During Romeo and Juliet’s wed­ding day, sakura flowers are in the background to represent their passion. 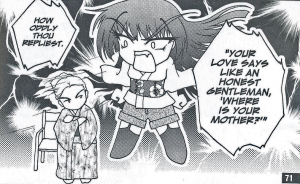 The manga style often uses miniature versions of the characters with super-exaggerated facial expressions to lighten serious situations. These are known as chibis. A chibi Juliet yelling at the nurse adds comedy just before the play becomes tragic. 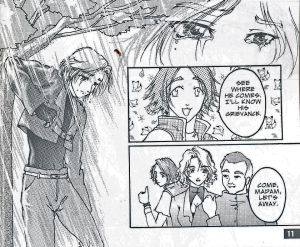 In con­trast, Stan Lee, Terry Dougas, Max Work, and Skan Srisuwan present the dystopian “Romeo and Juliet: The War”. The graphic novel is the first of a three book deal between Lee’s company POW! Entertainment and Dougas’ company 1821 Comics. The futur­is­tic set­ting and battle between the cyborg Montagues and genetically enhanced Capulets are creative ways to tell the story. 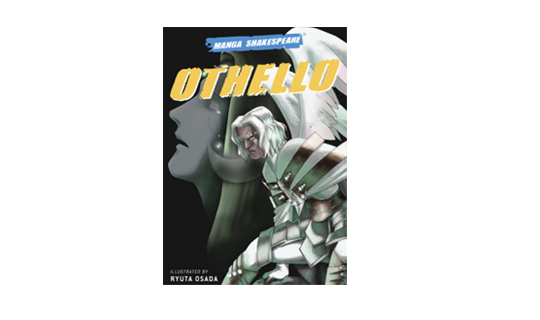 Unlike the manga version, much of the dia­logue in this graphic novel is altered with simplified and occasionally crude language, losing the poetry of Shakespeare’s original text. The apocalyptic illus­tra­tions in “Romeo and Juliet: The War” demonstrate how the conflict between the two families destroy their children and the city of Verona. The two “Romeo and Juliet” graphic nov­els convey the spirit of Shakespeare’s work. Much like dramatic interpretations of the the play, it’s up to the audience to measure the effect of the stylized approach to the work. 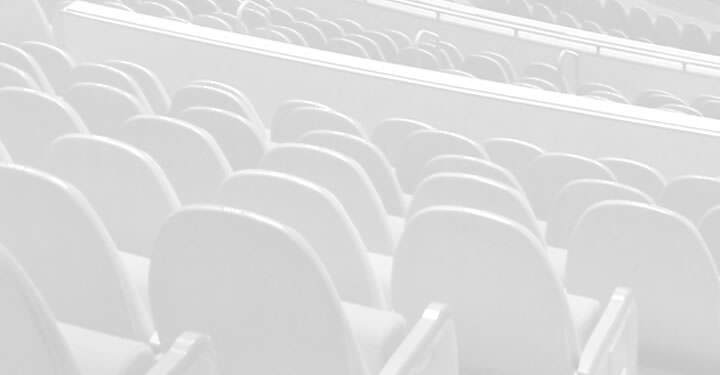 Read­ing either graphic novel of “Romeo and Juliet” is a unique way to see the play come to life. Watch the video trailer for “Romeo and Juliet: The War” by clicking here. 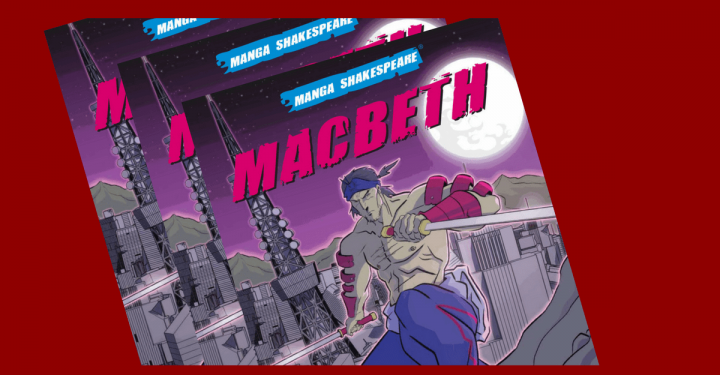 Click here for more information on the Manga Shakespeare series. Visit here for more information on POW! Entertainment, and here for 1821 comics. Dougas, Lee and Leong are on Twitter. Click their names to follow them. Read all of the “Romeo and Juliet” reviews, or post your own, on Stratford Festival Reviews.